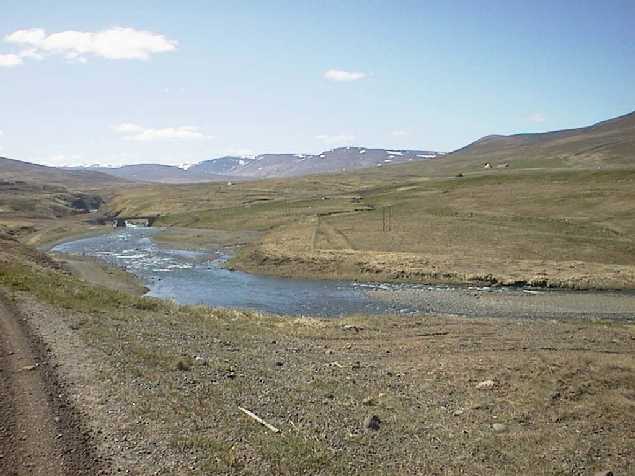 Drive from Akureyri to Dalvik with a detour to Litli-Arskogssandur. 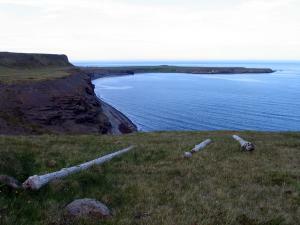 Then onwards to Dalvik and Olafsfjordur. Then go througe Hedinsfjardar tunnel to Siglufjordur. 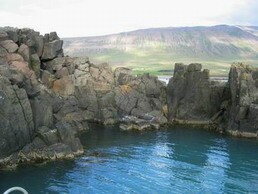 From there to Skagafjordur, where Hofsos is paid a vistit. Then comes the ancient bishopric Holar, the sod farm Glaumbaer, and the sod church Vidimyri. Road #1 takes us back to Akureyri over the mt. pass Oxnadalsheidi.